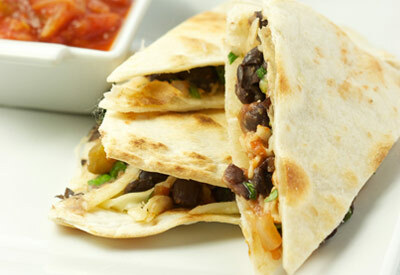 Marry black beans and cheese for this delicious quesadilla combination. Mash beans slightly; combine with salsa, green onion, cilantro and cheese. Divide mixture on 4 tortillas, spreading almost to edges. Top with remaining tortillas. Cook quesadillas in buttered skillet on medium to medium-low heat until browned, 2 to 3 minutes on each side. Cut into wedges before serving.